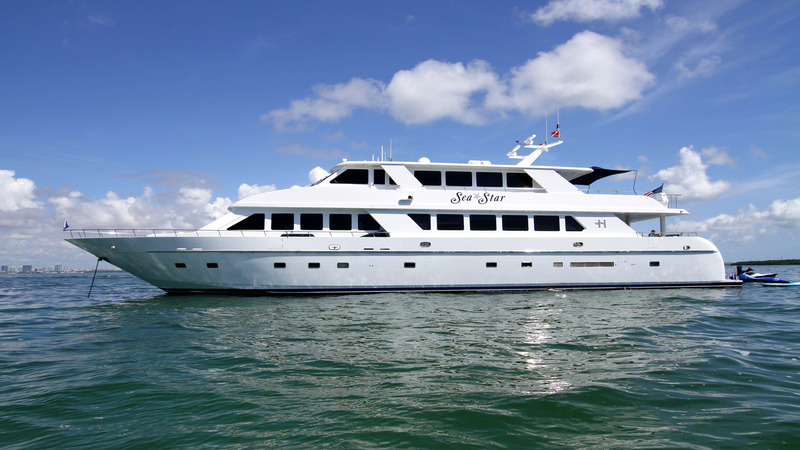 SEA STAR is a 33.22m (109') motor yacht built by Hargrave shipyard in the United States and launched in 2001. 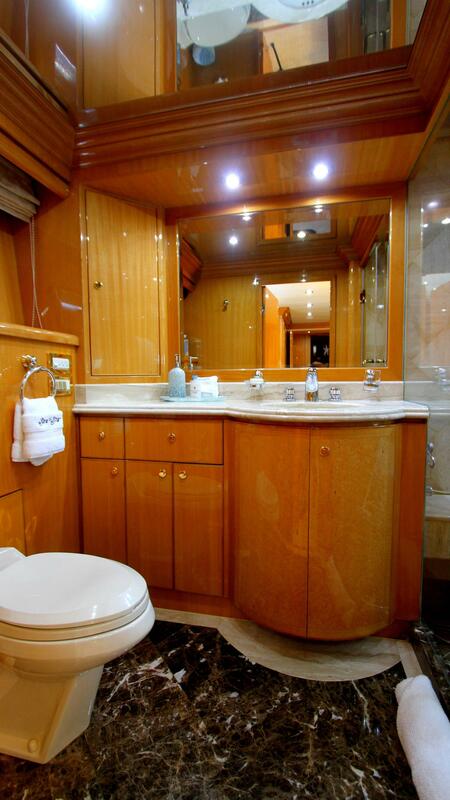 She was refitted in 2017 and offers welcoming decor with accommodation for up to eight guests, sleeping in four cabins. 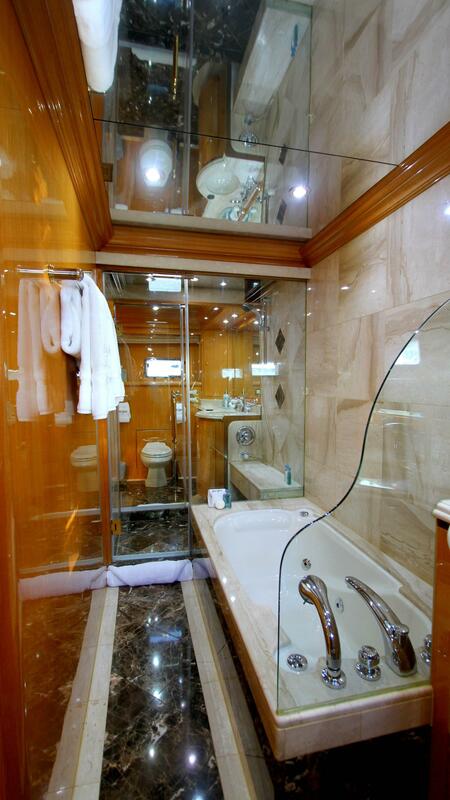 Her professional crew of five ensures everyone on board has a great time and a relaxing vacation. 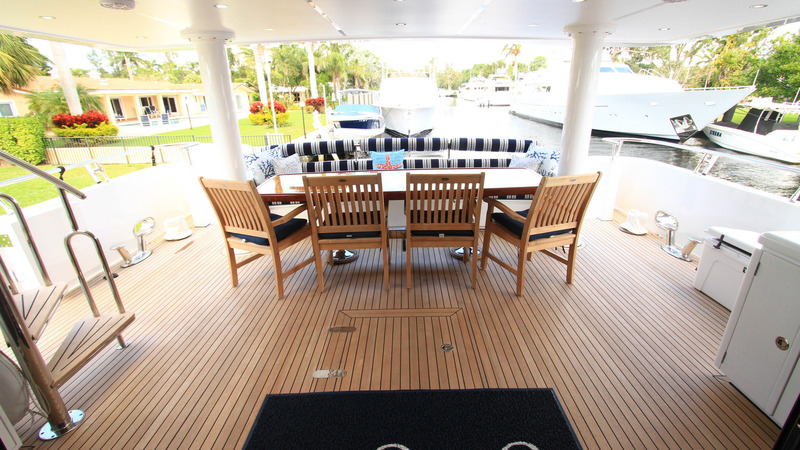 On the main deck aft there is a comfortable sofa lining the stern with a raised table and additional seating for alfresco dining and outdoor living shaded by the upper deck overhang. 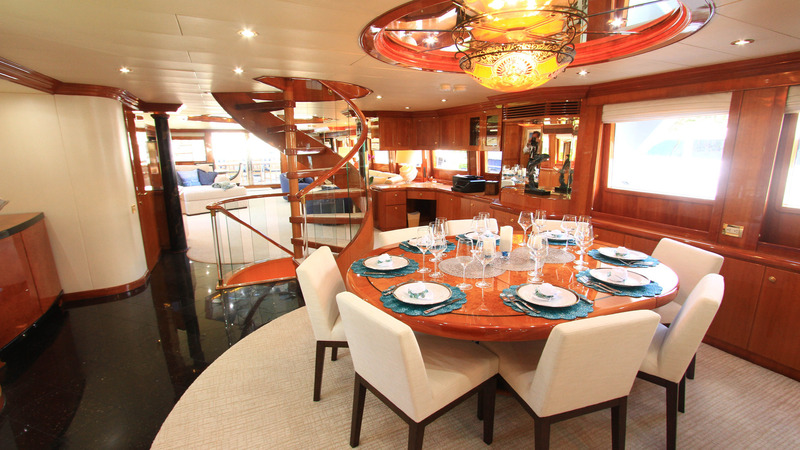 A starboard staircase connects to the upper deck aft, while staircases provide access to the lower deck swim platform. 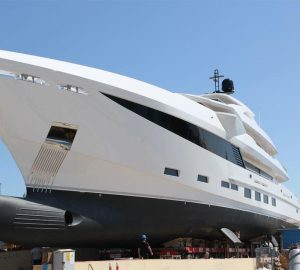 The upper deck aft contains a sizeable space for hosting outdoor functions and offers a barbeque, a pair of sofas around two ottomans and two sun loungers with an additional ottoman along the stern. 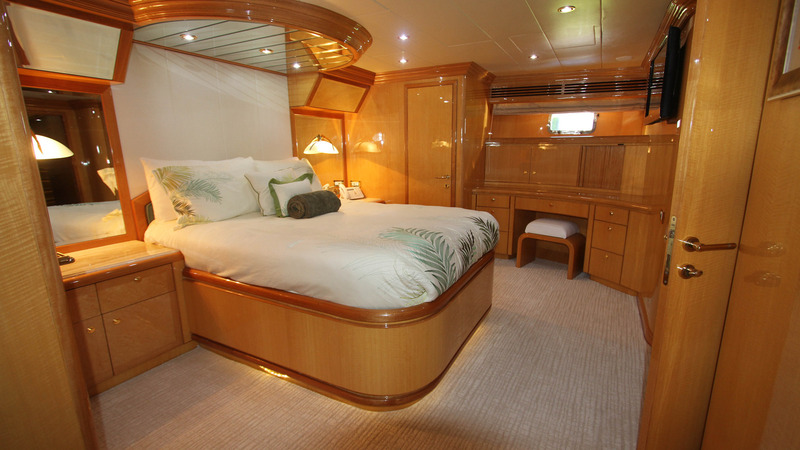 The lower deck hosts the large en-suite guest accommodation as well as crew bunks and the water toys storage, leaving the main deck free for a spacious open-plan formal dining area and lounge. 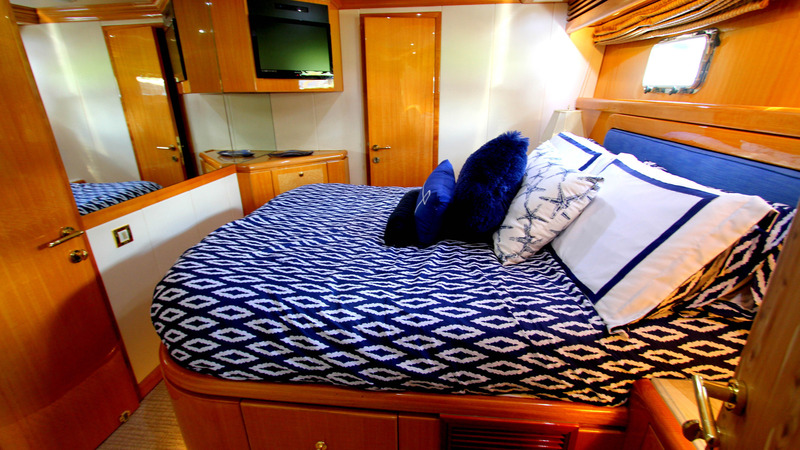 The timeless interior uses warm wood panelling and pale furnishings with accents in blue to create a welcoming environment ideal for daytime and evening entertainment. The forward formal dining area places eight guests around a circular dining table with large windows to either side for excellent views and natural lighting. 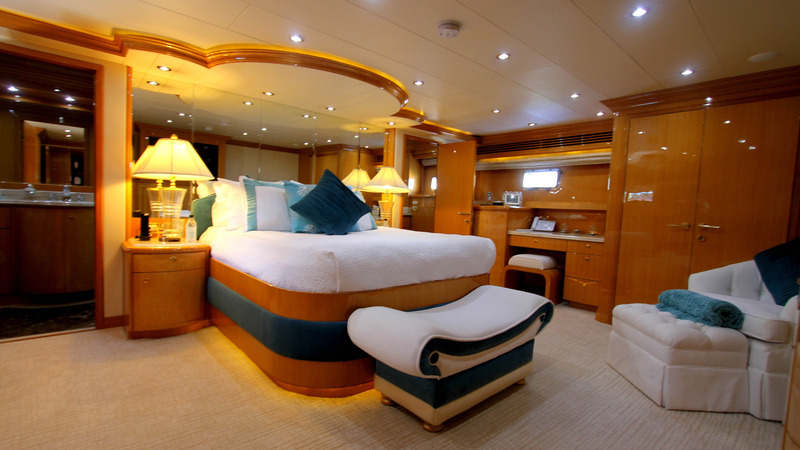 A staircase connecting the three decks divides the room, and the main salon in the aft section is fitted with an extended port-side sofa beneath the windows with an armchair on either side, plus a loveseat combined with an over-sized ottoman on the opposite wall to create a daybed. 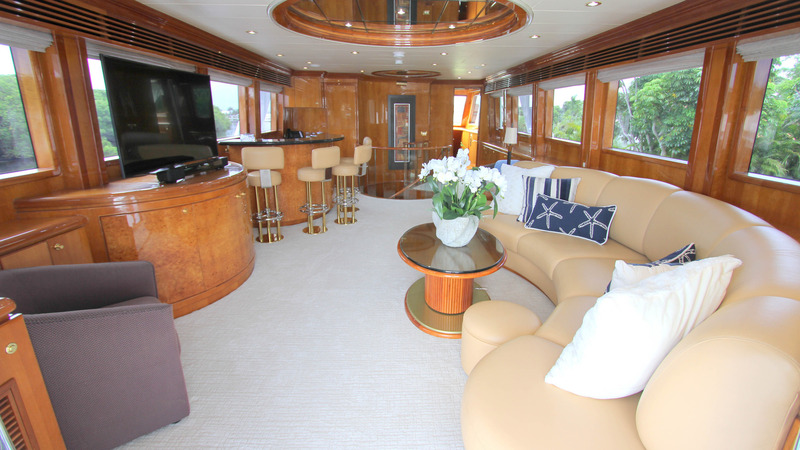 Close to the glass doors out onto the main deck aft, there is a drinks cabinet and adjacent a circular drinks and games table to seat a group of four. 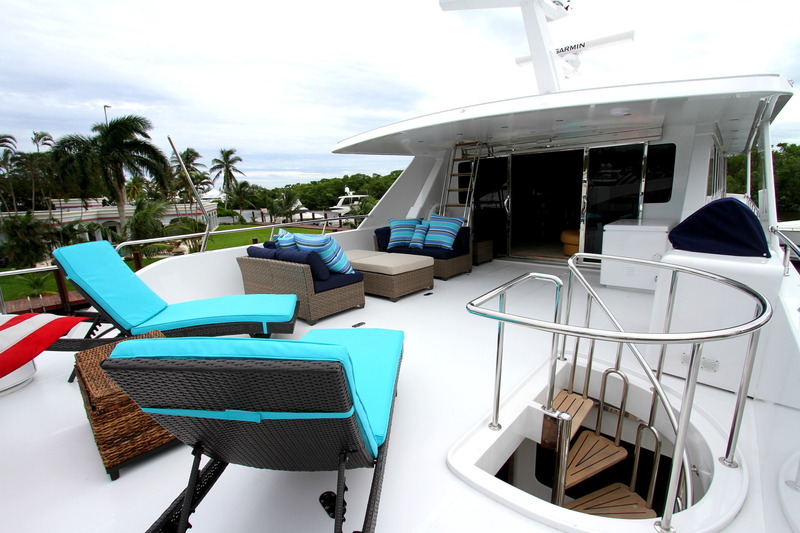 The upper deck provides an intimate sky lounge, where a corner bar will seat four guests. 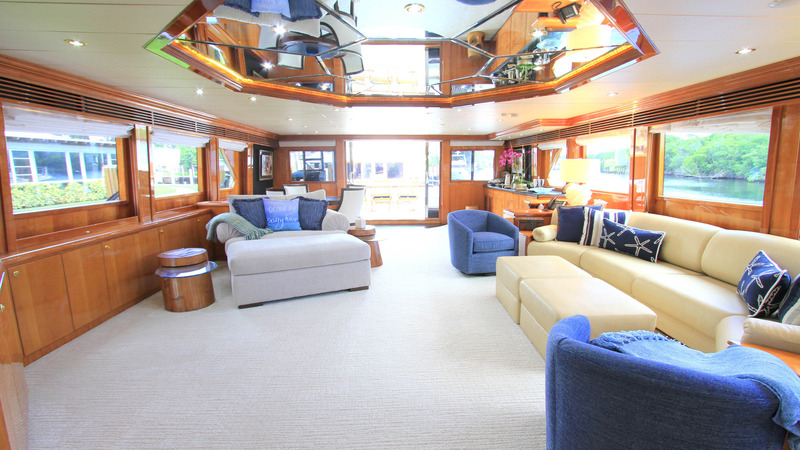 The mid-section of the space hosts a large curving sofa, a drinks table and footrests opposite a massive widescreen TV. An additional armchair is placed close to the light coming through the glass sliding doors for cosy and comfortable reading. A pair of CAT 3412 engines producing 1,400 HP creates a top speed of 16 knots, a cruising speed of 12 knots and a range of 600 nautical miles. 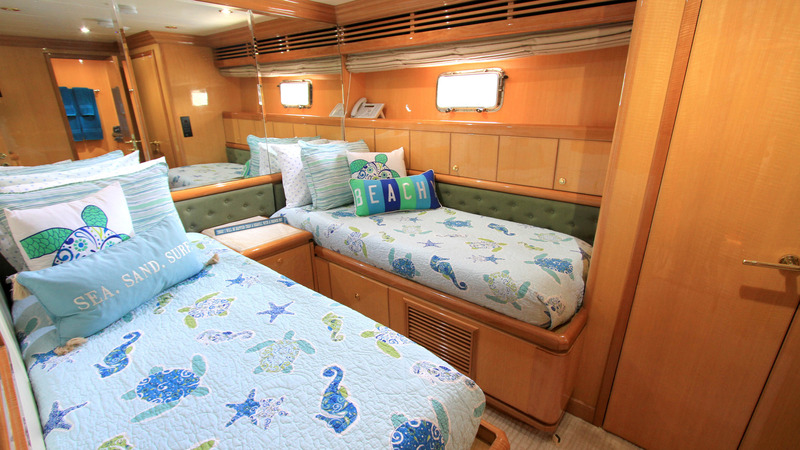 Spreading three decks, SEA STAR offers accommodation for up to eight guests in four staterooms, with ensuite bathroom facilities.